SCVHistory.com | San Francisquito Canyon | Ruiz Cemetery Census | Eagle Scout Project, SCV Historical Society, 1992. 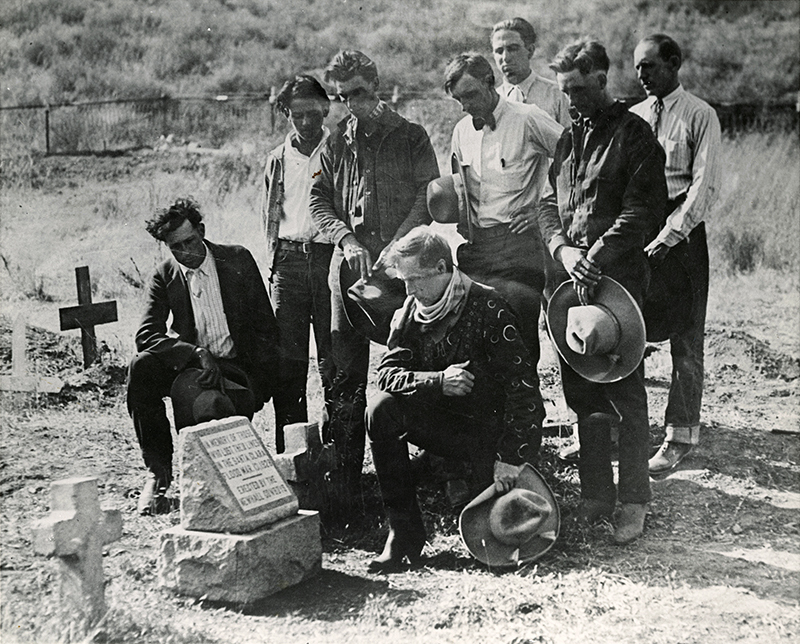 Recorded Tombstone Information and Grave Locations. Eagle Scout Project led by Kyle Fotheringham. Santa Clarita Valley Historical Society, August 1992. NOTE: This is only the Ruiz Cemetery portion of the project described below. This notebook is a result of an Eagle Scout Project done under the leadership of Kyle Fotheringham, an Explorer Scout from Troop 497, Newhall, California, completed August of 1992. The purpose of this Project was to preserve the valuable genealogical data found on historical tombstones in the Santa Clarita Valley. Unfortunately, some of this information has been damaged or destroyed by previous vandalism. It was the desire and intent that now, this information will be preserved in a useful and usable format for interested persons and family members. The goal of the Santa Clarita Valley Historical Society is to "preserve the past for the future." This Project is in line with what the members are striving to achieve by "preserving the heritage of our Valley in its buildings, artifacts, and recorded history." The notebook is a compilation of the gravesites at the Mitchell Family Cemetery in Canyon Country, California, the Ruiz Cemetery in Saugus, California, and The Garden of the Pioneers Section at the Eternal Valley Cemetery in Newhall, California. For each cemetery, there is a map of grave locations and each grave site is numbered to match the cemetery map. Also, for each cemetery the recorded tombstone information includes: Name: Last, First, Middle & Spouse; Dates: Birth & Death; Military Status, and then in the comments section, additional information was included such as physical condition of the gravesite or tombstone, children, inscribed words, military rank and information, and any other inscriptions or pertinent information. This Project contains the work of some 25 volunteers, including Kyle, who completed over 150 hours of service rendered. A special thanks is given to each of those individuals including Scouts, leaders, parents, family and friends. Following are the names of those volunteers: Russ, Linda, Megan, Rusty & Kyle Fotheringham; Jeff, Ken & Jon Neeley; David Allen, Katie Butler, Eliza Halladay, Jeff Hill, Jeremy Meldrum, Troy Castagna, Lynn Lamb, Susanne & Alison Clift; Camille Rich; Tina & Brooke Terry; Becky Weiner; Shelley Chatterly; and Andy Panton. Special acknowledgement must be given to Jon Neeley, Scout Master of Troop 497, who volunteered his knowledge, time, computer set-up, and enthusiastic support for the completion of this project, and without whose help this could not have been accomplished. Download individual pages here. SCVHS file.